From Mrs. Wilson, near King's Langley, Herts. For Caesar Augustus commanded the same. Our Saviour Christ Jesus was born on this day. "All glory and praise to the heavenly King!" 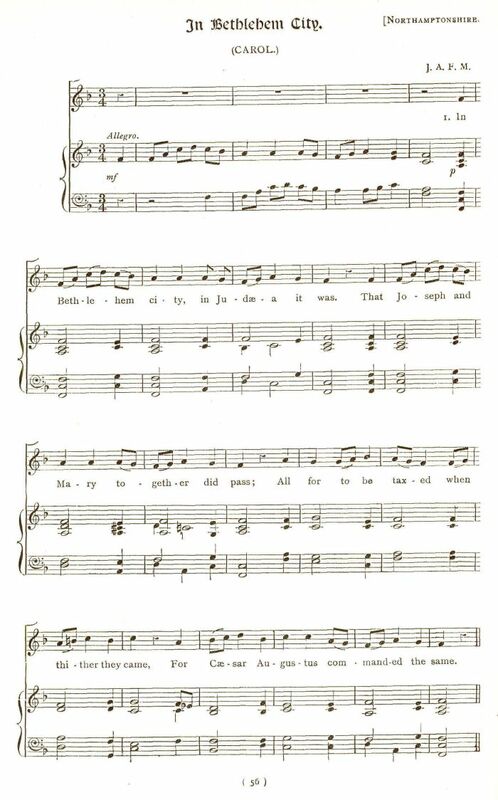 Sheet Music from Broadwood and Fuller Maitland, English Country Songs. Compare words and tune of "A Virgin Unspotted" (Herefordshire). 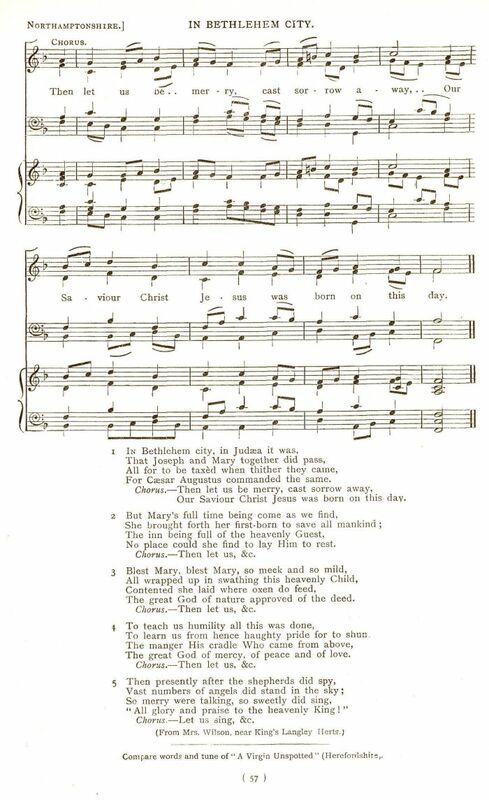 All are based on the original text of "In Bethlehem City" — 13 stanzas of four lines in 11 meter — which is thought to have been first published in New Carolls for this Merry Time of Christmas (London, 1661). Several tunes have been used including "Admiral Benbow;" a similar tune is in the highly influential Christmas Carols New and Old (Vol. III, ca. 1878) by Bramley and Stainer. The earliest tune was found in The Compleat Psalmodist (1741) by John Arnold, of Great Warley, Essex, in a four-part setting. Also see A Virgin Most Pure, with notes.